The new home of the blog that started it all! I first met Shannon Vance, from Stash Style, a few years ago when she started showing her line at the Dallas Market Vintage FINDS venue. One thing I've learned, as I've gotten to know this petite and soft spoken woman, is she's a creative powerhouse. Shannon, a self made artist and trend setter, along with her partner, Elton, have made quite a name for themselves within the vintage community and beyond. They sell at numerous shows each year including Round Top's Antique Week. Their keen sense of style and ingenuity bodes them well in their procuring of vintage boots, flannel shirts, selvedge jeans and vintage military wear. The two have become favored purveyors throughout U.S. shows and markets. Additionally, they have added candles, silk screened T-shirts, restaurant ware coffee mugs, totes and zippered bags (all made in the U.S.A.) to their line. For now, let me focus on one of my favorites in their home goods line; their flour sack kitchen towels. Each towel is made of 100% cotton and has been silk screened with one of many of Shannon and Elton's clever quotes or sentiments. Soft and easy to care for. Besides invoking a smile to your face and their usefulness in the domestic arena, the towels also make great gifts. Who wouldn't want one of these as an addition to their kitchen? I'm happy to be selling Stash Style's kitchen towels at Fleastyle on Saturday, March 12th at Fair Park. 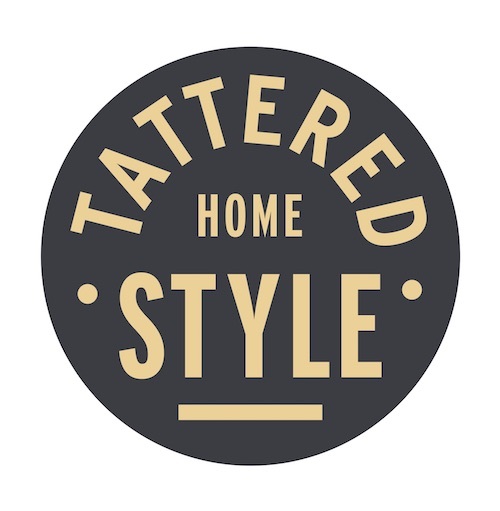 Be sure to come visit Tattered Style in the Automotive Bldg. You won't want to miss out on this flea market affair with more than 250 makers and vintage collectors extraordinaire. P.S. If you are planning a trip to Round Top in the spring, be sure to seek out Stash Style at at Zapp Hall. Also, while you're at it why not hop on over to Stash Style's website or visit their Instagram feed and take a peek at their entire selection of vintage and vintage inspired goods.